People are showing a great interest towards pet-keeping, hence profession of pet selling is really growing well! 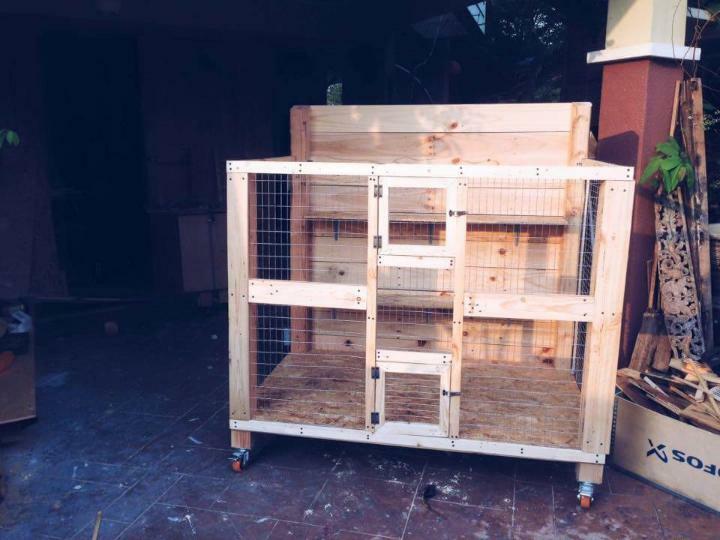 If you are also running a pet shop and or interested to keep lot of pets at your farmhouse then you can really go with these DIY pet housing plans! 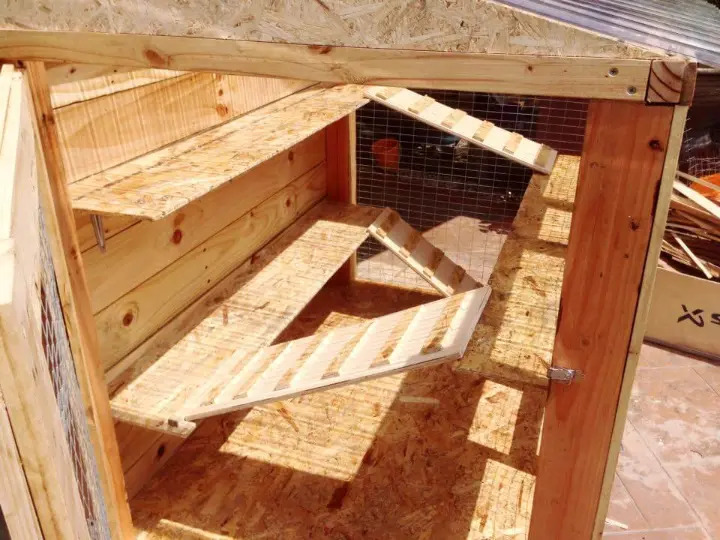 Build your own custom designs of bird cages, rabbit houses, dog houses and also the chicken coops and the only material to use here is pallets wood! 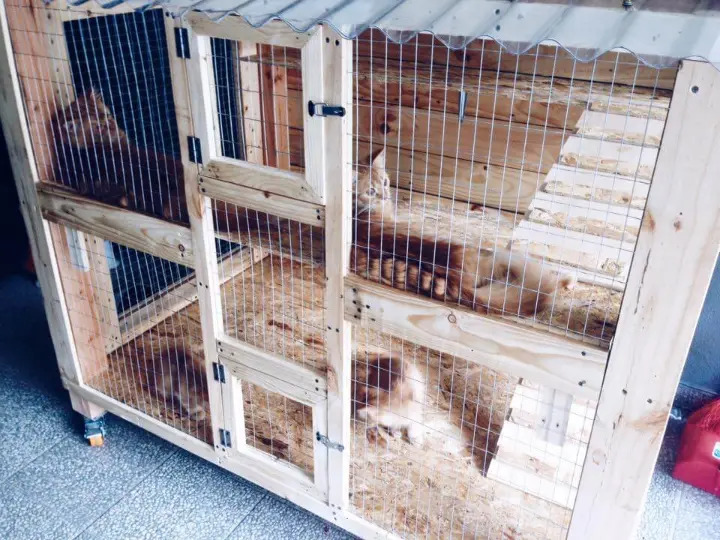 If you are just dying to get an innovative concept about pet housing then just look at this DIY pallet cat house, having multiple storey inter-connected with pallet-made little staircases! Overall construction is same like to build a bigger enclosed box shape! Sides have been netted with chicken-wire that just allows you to keep an eye on your pet at any time! Chicken wire would also cause amazing air transfer to not your inside pet friends feel suffocate! Each storey comes with a front door, from where you can easily access inside pets or add some new ones! 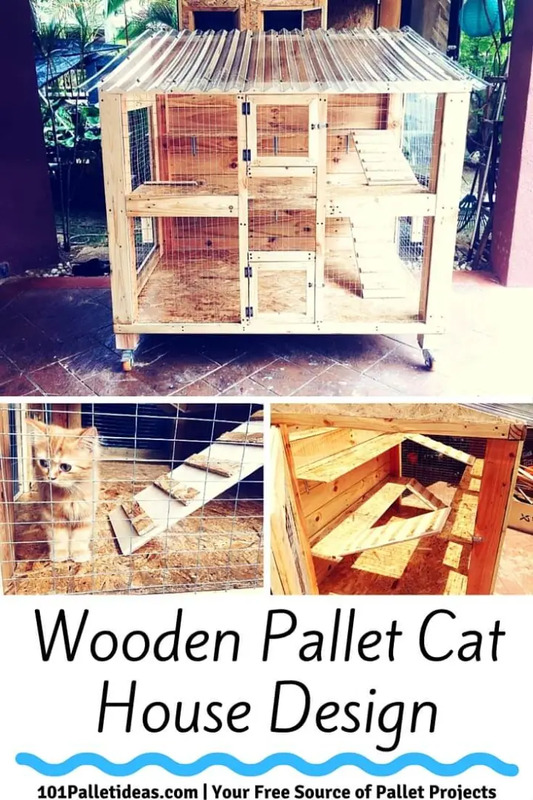 See here what you can do with pallets while having an interest in keeping pets! Inspire of these brilliant pet house architectures and build your own pet houses and cages for free with newer and innovative concepts! 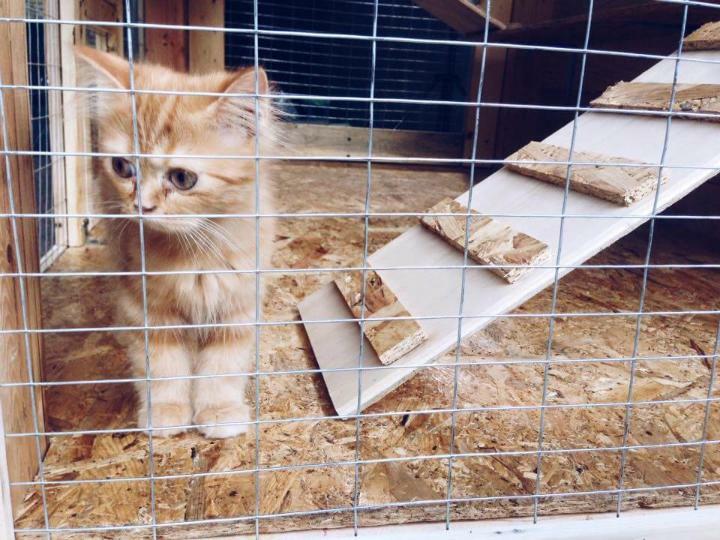 This double storey cage has been specified here for little cats housing and fenced with net metal wire and contains amazing pallet-made stairs inside which all cats like to practice their skills and also to play while being in fresh mood! 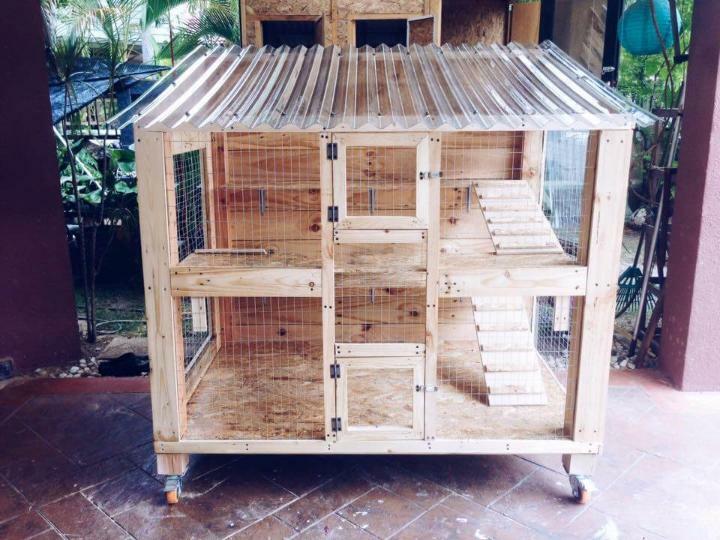 This well engineered cat house having interior just like a big shopping mall! Your cats will not feel like a prison in it as this handmade housing has various fun setups to keep them engaged! 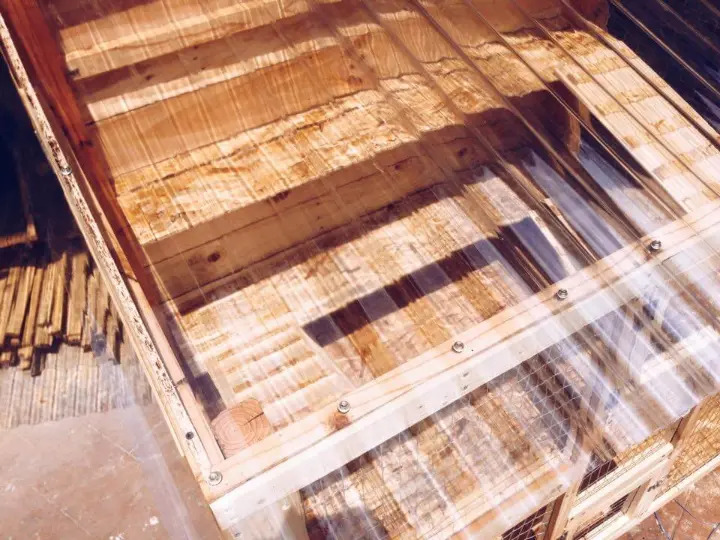 Top is plastic-glass made and is comes with equal crusts and troughs and also allows you stare into the house to see the actions you are cats are making currently! By noticing any inconvenience you can provide instant help just in case! Both storey having a primary access point that comes in shape of a chicken wired door! Doors have been installed using heavy duty hardware hinges and also contains a lock just to not to give a predator any access to harm the pets! For stylish industrial statements, the caster wheels have been installed to bottom side of the cage, wheels also help the cage to move effortlessly just with a little touch or push! All three walls except the front one, have been extended for sloped roof installation, downward alignment of roof will really avoid the rain water to store on the roof and hence cage would remain safe from bigger damages! 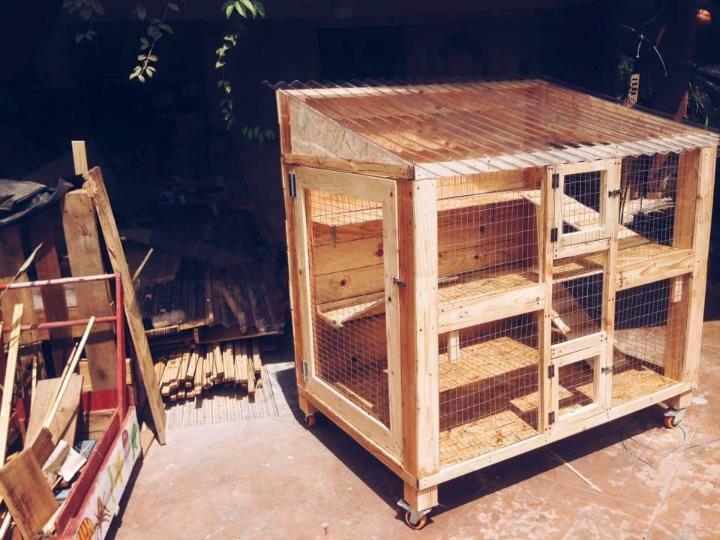 DIY Pallet Chicken Coop or Hen House!